One of the largest privately-owned construction, development and property services companies in the UK, the Wates Group, has confirmed its commitment to deploy defibrillators throughout its organisation. 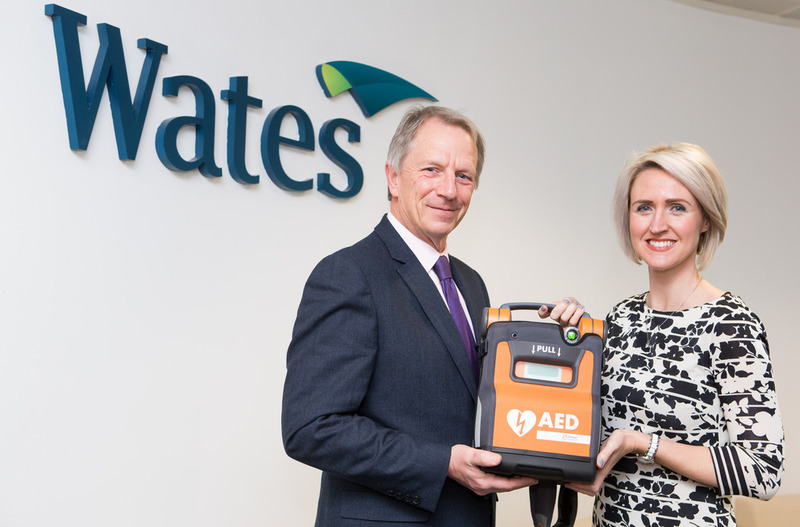 From its UK HQ in Leatherhead, Surrey, the Wates Group will be partnering with manufacturer Cardiac Science to distribute Powerheart G5 automated external defibrillator (AEDs) to help both experienced and first time rescuers to act quickly and confidently in the event of a sudden cardiac arrest (SCA) emergency. Wates employs over 4,000 people and works with more than 10,000 supply-chain operatives and partners to successfully deliver projects throughout the UK. The agreement will make the G5 AEDs available to all Wates Group employees across its businesses and will be sourced via a mix of purchase for longer-term projects and weekly hire for shorter term contracts. The Wates Group will use Cardiac Science’s online learning modules - CardiAcademy, which has a raft of resources to help employees increase their knowledge around SCAs and how to use the G5 AED technology with confidence. Lifesaving lessons for all: Do you know what to do?